Love is in the air this month! 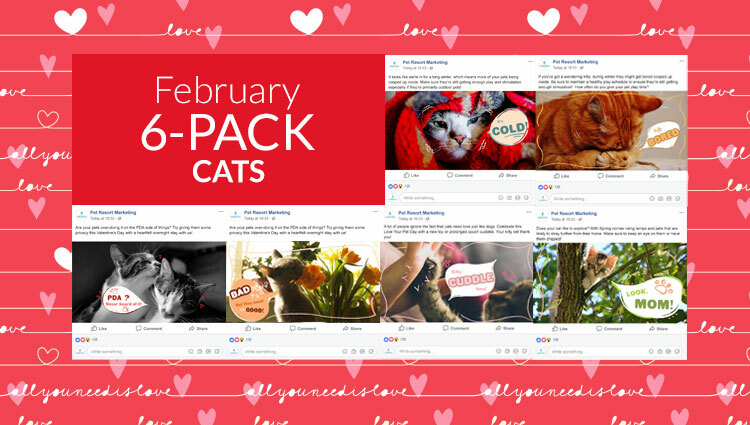 To help drive more paws to your doors in February, try our ready-made social media posts and feel the love! Download our 2019 “Fur-ever Love” Promo social media packs, designed to increase your pet resorts’ awareness and get more paws in your doors. 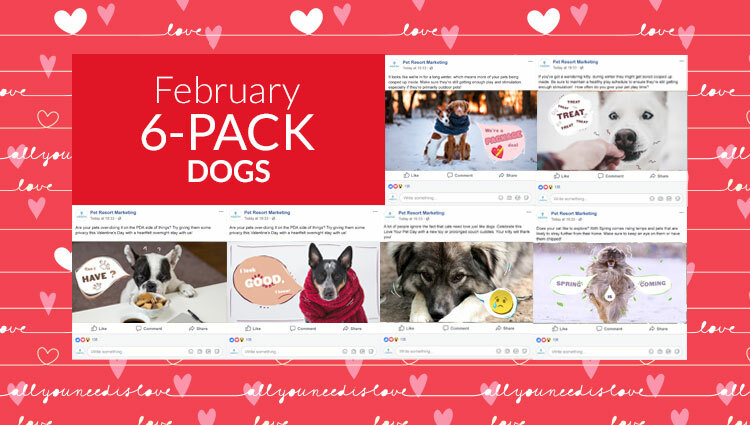 Download a FREE sample of these posts here. Watch this informative webinar to learn how to share posts and photos for optimal impact in social media. Need a customized collection of photos? 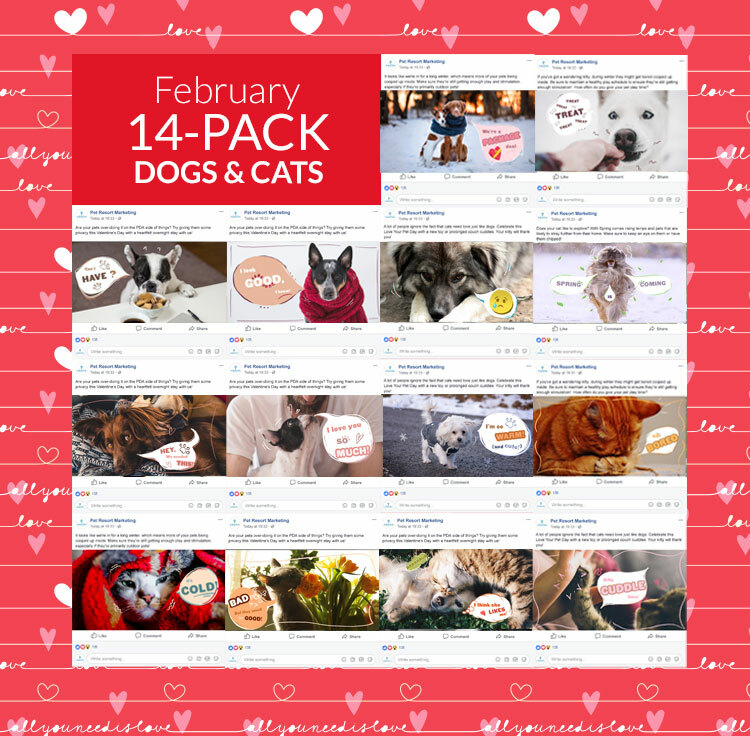 Get Our FREE 2019 Pet Holidays Calendar! The 14-pack is awesome! Creating all this good content ourselves is incredibly hard to do. Having it all done for us, and ready-to-go right out of the box, is so helpful. Hope to see more of these each month! What’s great about the 6-pack is that it is so cookie-cutter-like! We don’t have to think about putting a social media package together each week because it’s all been done for us. The photos are professional quality, the messages work well, and we really appreciate the instruction guide, too, because it made it very easy to use. This purchase is delivered in a compressed format called a .zip file. If your cell phone or tablet is unable to open this file, you may need to download some additional FREE software. We recommend WinZip which can be download for Android and iPhone. The use of the Promotion Pack, text copy and images are restricted to the purchaser’s business only and can be used for a single business location only. Multi-location businesses within the same Metro Area may use a single Promotion Pack. Multi-location businesses with locations outside of a single Metro Area please contact us for pricing at info@petresortmarketing.com or (512) 900-1070. See other terms and restrictions here. Fill out the form below and let us know what you need! We'll be in contact as soon as possible. For faster service, please give us a call at (512) 900-1070. 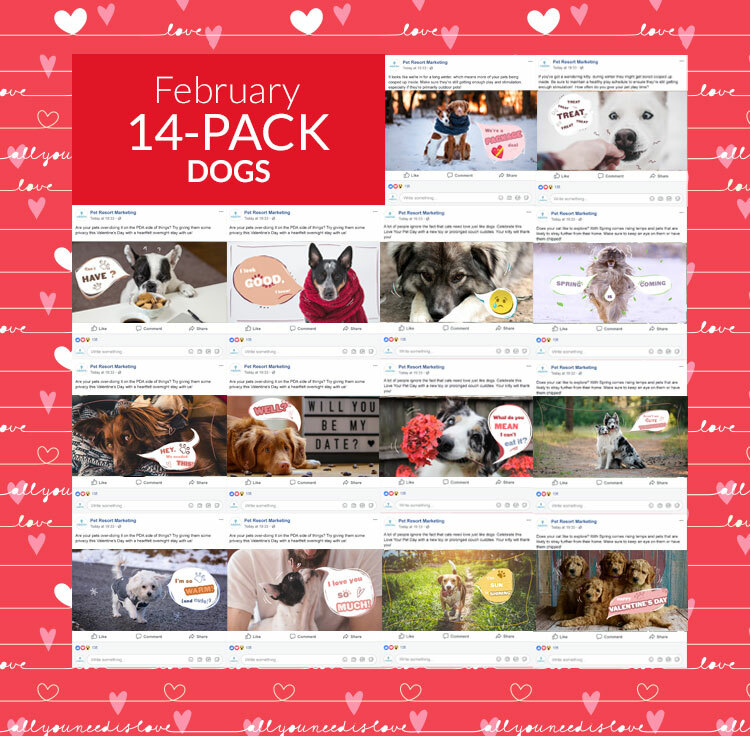 Get Regular Updates From Pet Resort Marketing? © 2019 Nehmedia, Inc. All Rights Reserved.